If you are interested in participating in a clinical trial, we are here to help. Below we will cover some of the basics and provide you with links to current clinical trials recruiting patients. A clinical trial is a study that observes or treats patients in order to develop or discover new treatments or medications. Almost all medical advances are thanks to the dedicated volunteers who participate in clinical trials. These carefully planned out studies allow scientists to accurately evaluate medications by studying the effects on healthy people and those with the condition the drug is designed to target. Why are clinical trials so structured? The structure in a clinical trial assures the safety of the participants through close contact and monitoring. As well, it ensures clinical trial results are accurate, well-documented, reliable and can be trusted. Below, Health Canada defines the four phases of clinical trials, their purpose and how each phase helps researchers answer specific questions. Phase IV– These trials are done after the drug is approved and is on the market. They gather information on things like the best way to use a drug, and the long-term benefits and risks. Can anyone participate in a clinical trial? Every clinical trial has specific protocols or guidelines it must follow — this determines how the trial will be run including who may and may not participate. Sometimes trials require patients with a specific condition, or a particular stage of a disease and sometimes, healthy volunteers are needed too. The reasons that allow you to volunteer for a trial are called “inclusion criteria” and the reasons that disallow it are called “exclusion criteria”. What happens when the trial is over? Just because a trial is over doesn’t mean the end of all communication between you and the research team. Once treatment is completed and the study is closed, patients should feel free to ask the trial staff what treatment they were getting. Staff are allowed to share this information as soon as it is available and they can also share the trial results when they become available. If you request to see your data from a trial, researchers may have to wait until trial results are made public before sharing the information with you. 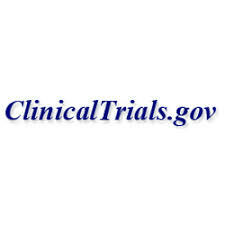 Click clinical trials, to learn more. MMPOWER-3 is a Phase 3 double-blind, placebo-controlled trial enrolling 202 patients with PMM at sites in North America and Europe. During the first six months of the trial, patients are randomized 1:1 to receive once daily subcutaneous injections of either elamipretide or placebo. 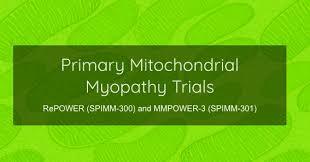 MMPOWER UPDATE: An update on MMPOWER-3, a Phase 3 clinical trial in primary mitochondrial myopathy scheduled to close enrollment over the next couple of months. PATIENTS AS ADVOCATES FOR CHANGE: Your voice matters! 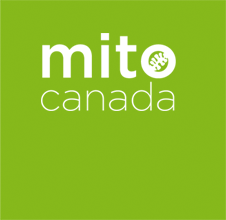 Help shape the future of mitochondrial therapeutics through participation in clinical development initiatives. DISEASE BURDEN: Insights gained from reviewing costs associated with medical management of mitochondrial disease – an important topic for insurers and regulators to understand the severity of the disease burden. GET INVOLVED! Learn how to participate in the UMDF Patient Focused Drug Development Meeting scheduled on March 29thto inform the FDA about your experience living with mitochondrial disease. An opportunity to submit questions online will be provided during the live webinar.